Suicide rates have increased 25 percent over the last two decades, according to a Centers for Disease Control and Prevention (CDC) report released the same week that celebrity chef Anthony Bourdain and fashion designer Kate Spade took their own lives. As the UW’s suicide prevention coordinator, Valerie Donovan ’11, MA’12 is developing proactive policies and coordinating resources and support networks across campus. Why are we having a national conversation about suicide prevention now? Why not years ago? It’s a couple of different things. One is that [the] CDC report gave us some data that shows this is a concerning trend … [and] that we don’t know as much as we should and we need to do better. Secondly, I think [with] recent celebrity suicides, [combined] with social media and 24-hour news cycles, there’s just been a lot [more] attention and discussion. The third element that is actually important and powerful is that people are becoming more and more comfortable talking about mental health … and I see this reflected on our campus, where we do have some data about decreases in stigma. If we’re discussing and researching suicide prevention more, why are suicide rates still rising? That’s a complex question and I don’t have a single answer for that. One thing that we’re taking a look [at] intentionally on campus right now, and that other groups are doing, too, is thinking about means restriction and environmental safety. In Wisconsin, firearms are the leading means for suicide. We know that access to lethal means increases suicide risk. So we can do a lot of great work in prevention and education and in how we communicate about suicide, but it’s also important that we’re thinking about things like access to lethal means and some of those other environmental strategies. How can we address suicide as a public health issue on campus? Relationships are foundational to effective prevention. When I think about changing the culture, especially in a complex system like UW–Madison, I often come back to this quote that I heard: “Change happens at the speed of trust.” So having those trusting relationships with [campus and community] partners is foundational to moving the needle on some of these big, complex issues. What should I do if I’m worried a loved one is at risk? Warning signs look different from person to person. I tell people to trust your gut, and if something seems like it might be off, it’s always worth checking in with your friends and loved ones. [Respond by] practicing empathy, listening without judgment, asking open-ended questions, validating, and recognizing how challenging that must be for that person. It’s also really important, if you’re concerned about suicide, to ask directly about it. A lot of people are worried that if [you ask], that might put the idea in their head. But research shows that’s actually an effective prevention strategy that makes you a safe person to talk to about those feelings. On a chilly fall evening, the Wisconsin Quidditch team is trying to sell its game to the newest recruits: a pair of students who happened to be tossing a football on the Gordon Dining and Event Center lawn. “It’s just like that, but with a volleyball,” one of the players shouts over to them. Her teammates chime in: it’s a combination of many sports, including rugby, dodgeball, basketball, and tag. They brag that a former UW football player has even joined their ranks. Quidditch looks like organized chaos. Words can only start to describe it; YouTube videos do it much better. There are three chasers, who score points by passing and throwing a volleyball — or quaffle — through the opponent’s goals (three hoops propped up with PVC piping). There’s a keeper, who serves as the goalie and blocks scoring attempts. There are two beaters, who throw dodgeballs — or bludgers — at opponents to briefly knock them out of the game. Later on, there’s a seeker, who attempts to end the match and score a bounty of points by catching the snitch, a tennis ball wrapped in a sock dangling off the backside of an impartial runner. (Yes, quidditch is a contact sport.) Oh, and all the players must hold a PVC pipe — or broom — between their legs at all times. 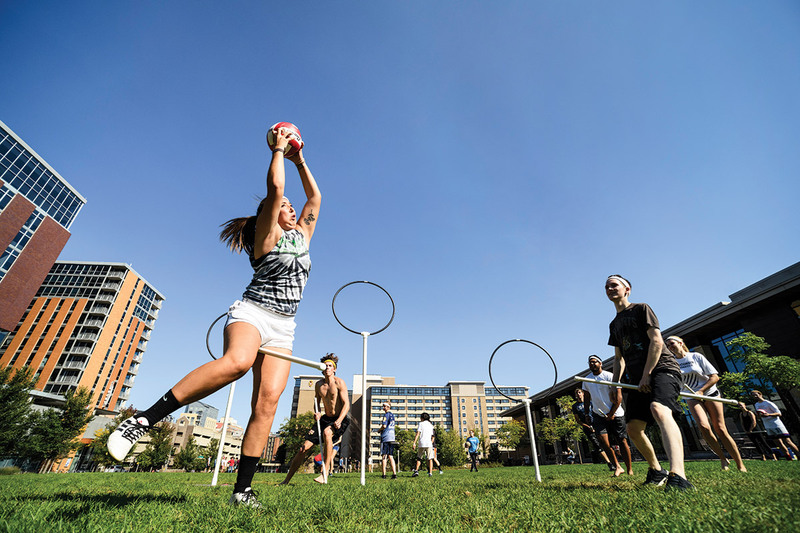 Twenty years after the U.S. release of the first Harry Potter book, quidditch — sans the wizardry and magic — is still found on many college campuses. “We’re working on the flying,” says a deadpan Chris Noble PhDx’20, president of Wisconsin Quidditch. The human — or muggle — version of quidditch was created in 2005 by imaginative students at Middlebury College in Vermont. In those early days, it stayed as true as humanly possible to author J. K. Rowling’s once fictional sport, with players using actual brooms and wearing capes. Quidditch has since evolved into an international phenomenon, with several governing bodies, a major league in the United States, and a world cup featuring nearly 30 countries. There are more than 150 college and community teams nationwide. Quidditch is a rare coed sport. No more than four of the six active players (or five of the seven, when the seeker enters) can identify as the same gender. While intense and competitive on the pitch, the sport is known for its congenial spirit among players and teams. “There seemed to be so much animosity in some of the [other] sports that I tried to play,” Noble says. The game first arrived at UW–Madison in 2009, when Nikki Powers ’10 and Mary Howard ’13 established a student organization. The club vanished after a year or two, but its Facebook page remained. Noble — who began playing quidditch in his native United Kingdom — arrived on campus in 2015. After posting on the Facebook page, he eventually mustered up enough interest to revive the squad. Around 20 players now make up the roster and compete against nearby schools, including Marquette, Loyola, and Columbia College. Last year, the team qualified for the Midwest regional tournament for the first time but fell short of nationals. The tournament was held at Breese Stevens Field in Madison. As practice unfolds, it’s easy to tell the veterans from the beginners. Newer players often fall to temptation, channeling their inner Steph Curry and futilely chucking quaffles from 30 feet away. The veteran players strategically and patiently align, pass, and weave until they’re in Giannis Antetokounmpo dunking range. Skilled players can momentarily move with their brooms tightly tucked between their legs, freeing up two hands for catching and throwing. It’s clear that the athletes take this game seriously, even if some passersby don’t. During practice, a few students on their way to the dining hall sneak a Snapchat or point and laugh with their friends. The Harry Potter charm comes attached with a nerdy stigma. But the longer you watch quidditch, the more you notice the feats of athleticism and teamwork and less the quirks of its fantasy origin. Perhaps the best description for quidditch is that it’s simply a sport — as real as any other. Pulling a soil sample from frozen Wisconsin ground in January is not impossible, but it certainly isn’t easy. Armed with a steel pick, plant pathology professor Douglas Rouse sent dirt, grass, and ice flying into the sunlight at the UW Arboretum as a small group of introductory biology students noted the location and condition of the frozen soil. Thawed or frozen, wet or dry, the soil remains an essential hunting ground. Within it lies the key to suppressing what the United Nations calls “the greatest and most urgent global risk”: superbugs — strains of bacteria that have grown resistant to traditional antibiotics. Superbugs could kill more people than cancer by 2050 if left unchecked, according to a 2014 report issued by the United Kingdom’s government. More than two-thirds of new antibiotics come from soil bacteria or fungi. But since a small sample contains thousands of species of bacteria — and most of the antibiotics they produce are toxic to humans — it requires significant time, labor, and persistence to isolate effective antibiotic producers and to test for new compounds. With the prospects of profitability lacking, pharmaceutical companies have shied away from developing new antibiotics to focus on more lucrative drugs. Enter Tiny Earth, an initiative based at the UW’s Wisconsin Institute for Discovery (WID). Rouse’s biology students are just a sampling of the nearly 10,000 students across 41 states and 14 countries who are mining soil to solve the superbug problem. “Antibiotic resistance is one of the main threats to global health and security, and the students have potential to discover new antibiotics to fill the void that currently exists,” says Jo Handelsman PhD’84, director of WID and founder of the initiative. Each semester, thousands of students around the world dig into the soil in their backyards, farm fields, stream beds, and forest floors. 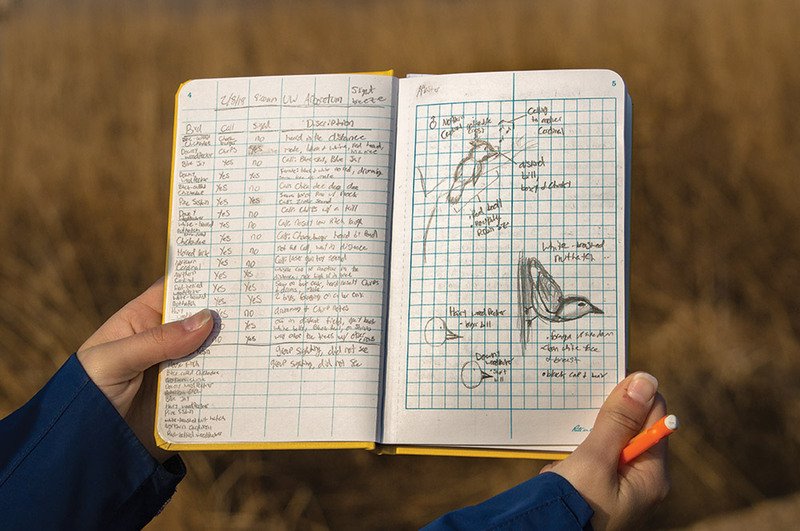 Just like the UW students, they learn the techniques they need to identify new species and compounds. Along with building a database of new antibiotics with medical potential, Tiny Earth is addressing another looming global crisis: a shortage of students pursuing careers in science. “One of the best ways to learn is to engage in science actively and to do research so that the thrill of discovery drives the learning process,” says Handelsman, who first developed the program in 2012 at Yale University. She saw too many first- and second-year undergraduates dropping out of the sciences and wanted to reverse the trend by offering hands-on research that pulls in techniques and ideas from disciplines such as ecology, genetics, and molecular biology. For students, it’s a galvanizing introduction to laboratory science: they learn new skills while solving real problems. The UW introductory biology students spent last spring diluting their soil samples, culturing and isolating bacteria, and profiling the genomes of anti- biotic-producing microbes. Along the way, they made hypotheses about what they might find, learned and selected techniques, and synthesized their findings, all in the hope of discovering new antibiotic compounds. 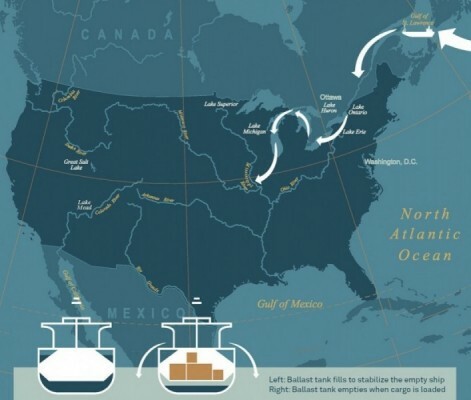 While the samples await final analysis, the initiative is betting on the odds that more participation will increase the chances of unique discovery. Between 1919 and 1926, two UW student organizations took the name Ku Klux Klan, and a report delving into that era of campus history “does not make for comfortable reading, nor should it,” says Chancellor Rebecca Blank. In the wake of a white nationalist rally in Charlottesville last fall, Blank appointed a study group to research the organizations and their connection to the national KKK. She also asked members of the group, which included UW history professors, to advise her on how the university can respond to this painful history. The group’s report, released in April, found that the campus community in the early 1920s did not question the presence of two organizations bearing the KKK name, including one that was affiliated with the national white supremacist group Knights of the Ku Klux Klan. The report also detailed what Blank calls “shameful examples” of the UW community’s treatment of black and Jewish students and of Native Americans, who were excluded from the student body during that era. “The history the UW needs to confront was not the aberrant work of a few individuals but a pervasive culture of racial and religious bigotry, casual and unexamined in its prevalence, in which exclusion and indignity were routine, sanctioned in the institution’s daily life, and unchallenged by its leaders,” the report says. The study group also considered the question of renaming campus spaces. But members decided that, first and foremost, the university needs to take more substantive action to address the past and reinvest in institutional change. “We want our collective reckoning with this history to consist of a great deal more than the purging of unpleasant reminders,” the report says. 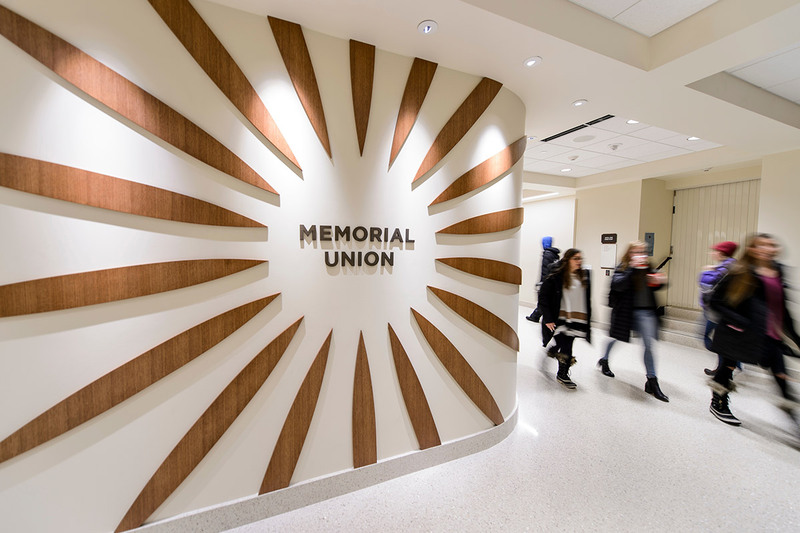 However, the Wisconsin Union Council, which governs Memorial Union, voted in August to change the names of the Porter Butts Art Gallery and the Fredric March Play Circle — named for the union’s first director and the Oscar-winning actor, respectively. Both men belonged to an interfraternity society that used the Ku Klux Klan name in the early 1920s but was not affiliated with the Knights of the Ku Klux Klan. The surviving family members of Butts publicly supported the move, which council members said would allow the Union to fulfill its mission by being more welcoming to students of all backgrounds. Butts ’24, MA’36 worked for inclusivity later in his life, including his refusal to allow segregated groups to use Wisconsin Union spaces. And in the 1950s, March ’20 fought persecution of Hollywood artists, many of them Jewish, by the House Un-American Activities Committee. The Union council plans to acknowledge the professional achievements of Butts in another way at Memorial Union. 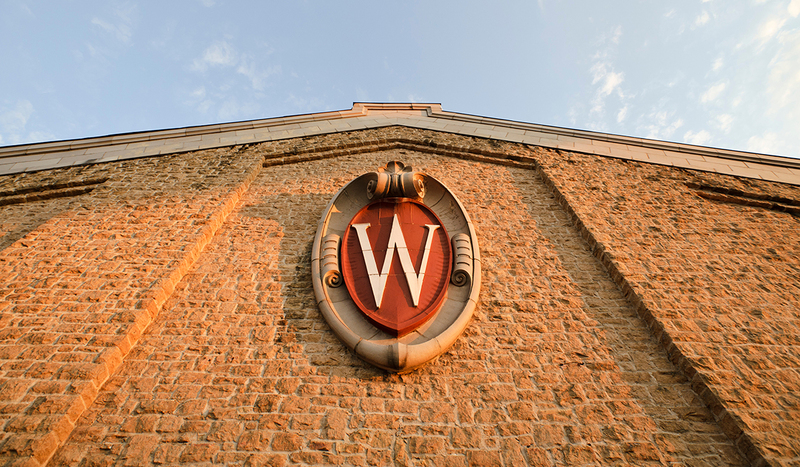 In response to the study group report, the UW has committed up to $1 million to research and install a public history project “that will document and share the voices of those on campus who endured, fought, and overcame prejudice” throughout its history, Blank says. The university will also fund a proposal to hire a new faculty member in four progams: Afro-American Studies, American Indian Studies, Chican@/Latin@ Studies, and Asian American Studies. Williams was heavily recruited by Nebraska after making a verbal commitment to the Badgers. If Bryson Williams x’22 were a Nebraska Cornhusker, it would be hard to blame him. The other Sea of Red flows through his veins: he was born in Lincoln, home of the University of Nebraska, to a family of devoted Cornhuskers, and he played high school football just a 10-minute drive from Memorial Stadium. The UW freshman nose tackle was also priority number one for Nebraska’s new head coach, Scott Frost, a longtime Lincoln legend. Frost, the quarterback of Nebraska’s 1997 national championship team, returned to his alma mater with massive fanfare after coaching the NCAA’s only undefeated team last season, the University of Central Florida (UCF). In early December, on the same day UCF won its conference championship game and less than an hour after Frost’s hiring leaked online, Williams received a phone call from a familiar voice. It was Frost, who had recruited Williams at UCF. Seemingly out of nowhere (the Cornhuskers’ previous head coach told Williams, point blank, that he would not receive an offer from the university), Nebraska was now interested. What should have been a dream come true was actually a source of internal conflict: five months prior, Williams had verbally committed to the UW. Because he couldn’t sign an official letter of intent until late December, his commitment to the Badgers was theoretical — at least to some. Williams quickly became a celebrity of sorts in Lincoln, with media, family, friends, and strangers all inquiring about his final decision. The recruiting process wasn’t always so eventful for Williams, who was considered a three-star (out of five) prospect. 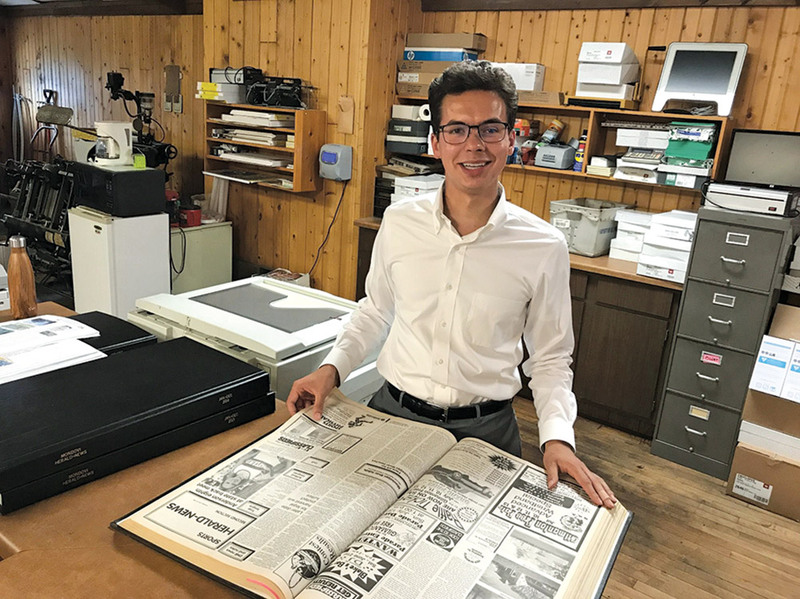 He attended a few summer camps in high school, where he first caught the attention of South Dakota and South Dakota State — his first two college offers. Months passed until he received his first offer from a major program (Kansas State). 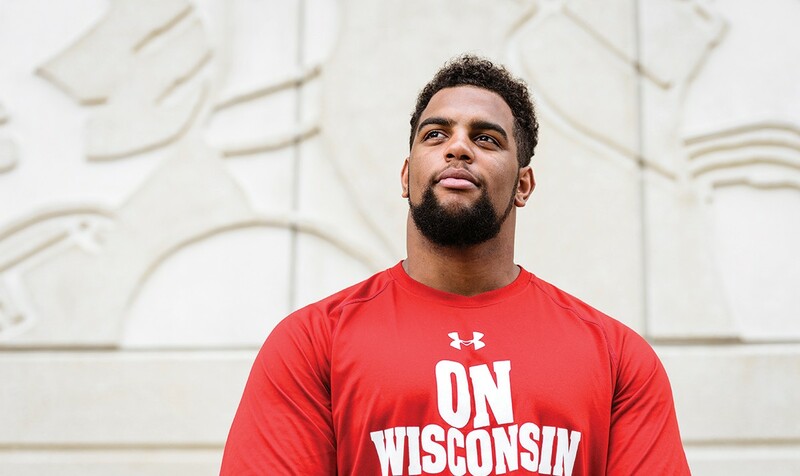 Eventually, as he developed into his 6′2″, 300-pound frame as a high-school senior, he received offers from nearly 20 schools, ranging from the UW and Iowa, to Virginia Tech and Duke, to Princeton and Yale. But the Big Ten was squarely his top priority. The UW offered Williams a scholarship last June. Within a couple weeks, he visited campus — with stops at Camp Randall and the Terrace — and verbally committed, citing strong academics and a fast-developing relationship with the coaching staff. In mid-December, with the sudden weight of his hometown on his shoulders and a scribbled pros-and-cons chart at his side, Williams announced on Twitter that he was sticking with his original commitment: “I want to be remembered [as] a man of my word,” he wrote.